The Camden Archival Aluminum 13.875"x19.875"x1.875" Portfolio Case can be customized with Color Imprinting or Laser Engraving. The Camden Archival Aluminum 16.25"x20.25"x1.875" Portfolio Case can be customized with Color Imprinting or Laser Engraving. 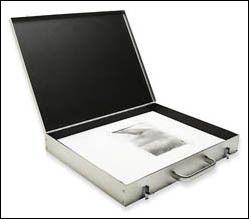 Constructed of anodized aluminum with reinforced corners, spring-loaded steel latches, and an extruded aluminum-fixed position handle to provide maximum protection for your artwork. Black leather-like interior lining prevents scratching of artwork. Lid opens to upright position. 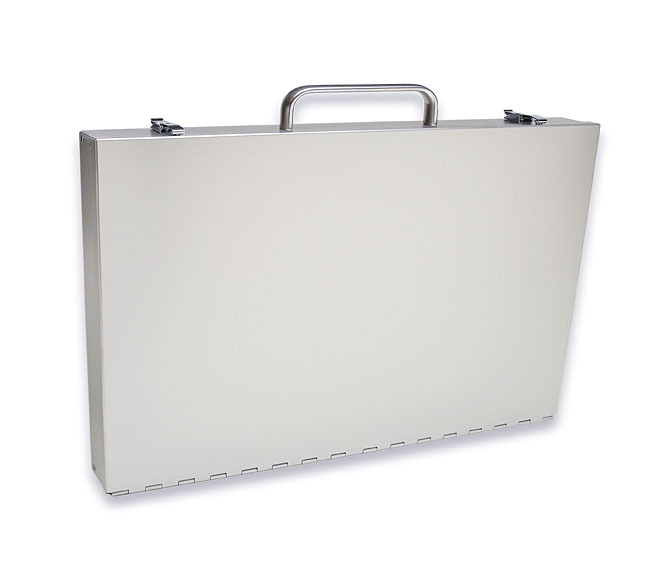 This Camden Aluminum Portfolio Case was designed to hold 11"x17" and 17"x11" Screwpost Portfolios and 3-Ring Binders.